A recent trip to hospital led me to spend some time waiting around. As such, I decided to start playing with the camera app on my Sony Xperia Z5 Sony Xperia Z5 Review Sony Xperia Z5 Review You're looking for a new phone. Something reasonably powerful, big screen, great sound. A handset to blow your iPhone loving friends out of the water. The Sony Xperia Z5 might just be it. Read More phone. Here, I found some untouched features that ended up creating some quite stunning results. Among them was a tool that turns standard photos into comic-book inspired images, complete with speech bubbles and action effects. Also known as “fumetti” (an Italian term referring to speech bubbles that has come to refer specifically to photo comics), photonovels, photo stories, or photo comics are pretty much what you would expect. In short, instead of using hand-drawn illustrations The Secrets to Drawing: 5 Art Skills You Can Learn in 5+ Udemy Classes The Secrets to Drawing: 5 Art Skills You Can Learn in 5+ Udemy Classes Do you think you are not good enough to draw? These Udemy courses will help you pick up the secrets to drawing and help you start off with a great artistic hobby. Read More , the comics use photos with speech bubbles, thought bubbles, captions and visual effects added on later. The results can be mixed. The style gained notable popularity in UK teenage girls magazine Jackie during the 1980s, but it had been steadily emerging since the 1940s. Future Hollywood star Sophia Loren worked as a fotoromanzi model, for instance, with some success. These days, online series have adopted this particular style of web comic. However, it would be wrong to discuss photonovels without mentioning Doomlord, a fumetti series in the 1982 version of British comic book Eagle (seen above). Doomlord continued in photonovel form for around 18 months until an illustrated version — with less charm and realism — emerged. Now, we’re not saying that you can create your own romantic photonovel (fotoromanzi) or sci-fi invasion story, but the tools are available for you to get started and find out what you do want to make. While this option is only available to owners of that particular device and its variants, the Sony Xpera Z5 camera has a lovely feature that lets you add speech bubbles and superhero-esque comic effects. The user interface is simple, and as it’s part of the camera app, you’re able to simply take a photo and add an effect. Within seconds, you should have a suitably comic-styled image. These are really intended for social sharing, rather than compiling as a comic, but there’s no reason why this shouldn’t be an option. With a third-party comic art app, you should be able to arrange the exported images into a piece of sequential art. For a more comic-y experience, the Comic Strip app on Android lets you create single frames and pages alike. With the option to select images from your gallery or to take fresh photos, Comic Strip will let you zoom and rotate images, add captions, speech bubbles, effects, and alter the photo to make it less realistic. 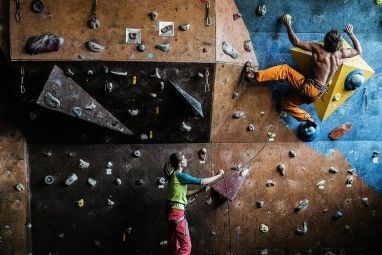 Setting it apart from the basic camera app, however, is the ability to select a layout and build your story with several frames until you’ve completed a page of photos to tell your story. The full version, Comic Strip Pro ($1.49) offers extended features, such as different page layouts. 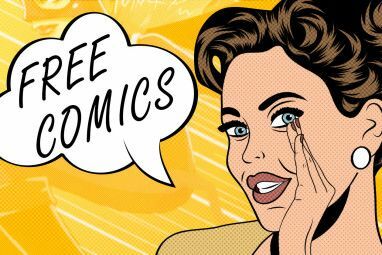 For a more comprehensive comic strip creation process, you’ll need to head to the desktop, and visit FotoJet’s Photo Comic Maker. Click Get Started to do just that, and wait while the Flash-based tool loads up. If you have sensibly disabled Flash Why Flash Needs to Die (And How You Can Get Rid of It) Why Flash Needs to Die (And How You Can Get Rid of It) The Internet's relationship with Flash has been rocky for a while. Once, it was a universal standard on the web. Now, it looks like it may be headed to the chopping block. What changed? Read More , you can re-enable it within the web app. Just remember to switch if off again — or even remove it completely — when you’ve finished. Begin by selecting a Template from the left-hand pane, then adding photos from your PC or Facebook using the Add Photo tool on the right. You’ll need to give FotoJet permission to access your Facebook account for this to work. If you’re uncomfortable about that, just upload images from your computer. With that done, you can drag the images into each frame of your template, and use the undo and redo buttons, along with the zoom slider, to fix any changes and zoom in. Images can be rotated, and Instagram-style filters How Instagram Filters Work, And Can You Tell the Difference? How Instagram Filters Work, And Can You Tell the Difference? Here you'll find everything you need to know about what each Instagram filter does, what it's best used for, and some great examples for you to look at. Read More added. At this stage, you can then add Text and Clipart — the latter is where you’ll find speech bubble — and then tweak the background of the template. Finally, hit Save to download it to your computer. You’ll get the option to Share as part of this, but you can also select the main Share option. FotoJet Photo Comic Maker has sharing for Facebook, Twitter, Pinterest and Tumblr built in. All of this is free, but if you want extra features, you can subscribe to FotoJet for $4.99 per month (or $34.99 per month). Perhaps the best use of “comicized” photos is to entertain friends and family on Facebook (or other social networks). 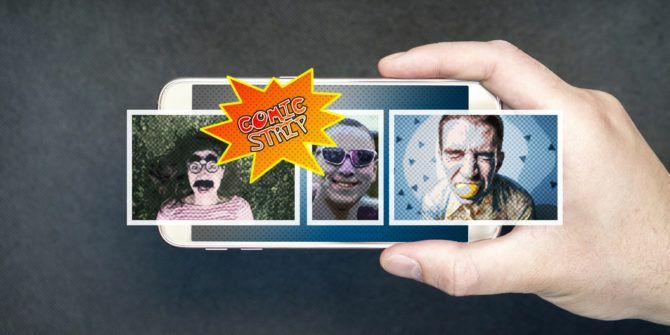 If this is something you want to try, we suggest heading to SuperLame!, a website that will add comic balloons to your photos, perfectly sized for uploading as a new Facebook profile pic. To begin, open the site and click Start Here!, then upload a photo. Use the tools to Add a balloon and Add sound FX, customizing and tweaking these to suit. You can customize the text style and position, as well as the shape of the balloons. 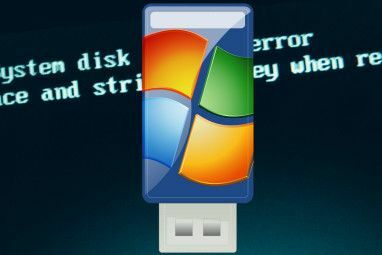 When you’re done, hit Save Image, then download to your PC. Sadly there’s no direct Facebook integration, so you’ll have to manually upload the image as your Facebook profile photo. That’s three good ways to create comic style images with your photos for sharing on Facebook and beyond. Did we miss any? Tell us below! Explore more about: Comics, Web.